Keith Flint , the rather scary looking English singer-songwriter from English electronic dance music group the Prodigy was born september 17th 1969 I used to be a big fan so I thought I would mark the occasion. Formed by Liam Howlett in 1990 in Braintree, Essex. Along with Fatboy Slim, The Chemical Brothers, and other acts, The Prodigy have been credited as pioneers of the big beat genre, which achieved mainstream popularity in the 1990s and 2000s. They have sold over 25 million records worldwide, and have won numerous music awards throughout their career, including two Brit Awards—winning Best British Dance Act twice, three MTV Video Music Awards, two Kerrang! Awards, five MTV Europe Music Awards, and have twice been nominated for Grammy Awards. Former English race car driver Stirling Moss OBE FIE (Fellow of the Institute of Engineers) , was born September 17th 1929 . Moss was a pioneer in the British Formula One racing scene and placed second in the Drivers’ Championship four times in a row from 1955 to 1958 and won 212 of the 529 races he entered, including 16 Formula One Grands Prix. Moss’s first Formula One win was in 1955 at his home race, the British Grand Prix at Aintree. 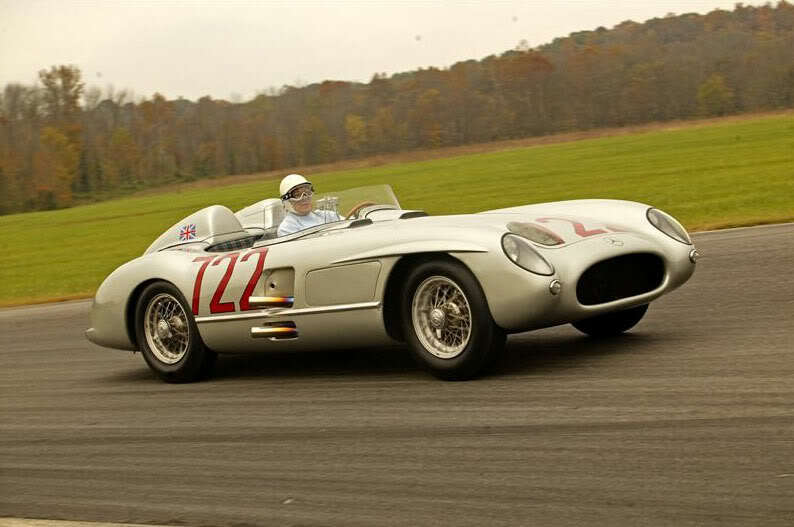 His Mercedes-Benz W196 led home a 1–2–3–4 win for the German marque. This victory made Moss the first British driver to win the British Grand Prix. It was the first race where he finished in front of Juan Manuel Fangio, his teammate, friend, mentor, and arch rival at Mercedes.One of his best remembered drives was in the 1955 Mille Miglia, which he won in the record time of 10 hours 7 minutes 48 seconds, finishing almost half an hour ahead of teammate Fangio in second place. In 1957 Moss won on the longest circuit to ever hold a Grand Prix, the daunting 25 km (16 mi) Pescara Circuit, again demonstrating his skills at high speed, long distance driving. He beat Fangio, who started on pole, by a little over 3 minutes over the course of a gruelling 3 hour event. In the 1960 Formula One season, Moss took the top step of the podium at Monaco, winning in Rob Walker’s Coventry-Climax-powered Lotus 18. For the 1961 F1 season, which was run under the new 1.5-litre rules, Enzo Ferrari rolled out his state-of-the-art “sharknose” Ferrari 156 with an all-new V6. Moss was stuck with an underpowered Climax-engined Lotus, but managed to win the 1961 Monaco Grand Prix by 3.6 seconds (beating the 156s of Richie Ginther, Wolfgang von Trips, and Phil Hill). In 1962, Moss was badly injured in a crash at Goodwood in a Lotus in the Glover Trophy. The accident put him in a coma for one month and partially paralyzed the left side of his body for six months. He recovered but decided to retire from racing after a private test session in a Lotus 19 the next year. He would compete in as many as 62 races in a single year and drove 84 different makes of car over the course of his racing career, including Lotus, Vanwall, Maserati, Jaguar, Ferrari and Porsche. Like many drivers of the era, he competed in several formulae—very often on the same day and was as gifted at the wheel of a sports car as he was in a Grand Prix car. For three consecutive years (1958–1960) he won the gruelling 1,000 km (620 mi) race at Germany’s Nürburgring, the first two years in an Aston Martin (where he won almost single-handedly) and the third in the memorable Tipo 61 “birdcage” Maserati, co-driving with young American prospect Dan Gurney. Moss was also a competent rally driver and is one of only three people to have won a Coupe d’Or (Gold Cup) for three consecutive penalty-free runs on the Alpine Rally (Coupe des Alpes). In addition, he finished second in the 1952 Monte Carlo Rally driving a Sunbeam-Talbot 90 with co-driver John Cooper. He retired in 1962 after a crash left him in a coma for a month, as afterwards he felt unable to continue driving at a professional level. In spite of this early retirement he has remained a well-known figure.